Am 12. September fand im Mozartsaal des Wiener Konzerthauses das "69th Anniversary of the Independence of the Republic of Indonesia and the 60th Anniversary of Diplomatic Relations between the Republic of Indonesia and the Republic of Austria" statt. 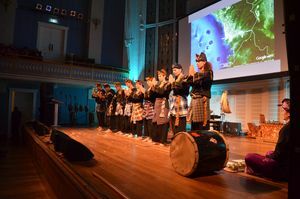 Pencak Silat Anak Harimau war - neben Gamelan, Tänzen aus allen Regionen Indonesiens, Kolintang und anderem - mit einer Vorführung vertreten.